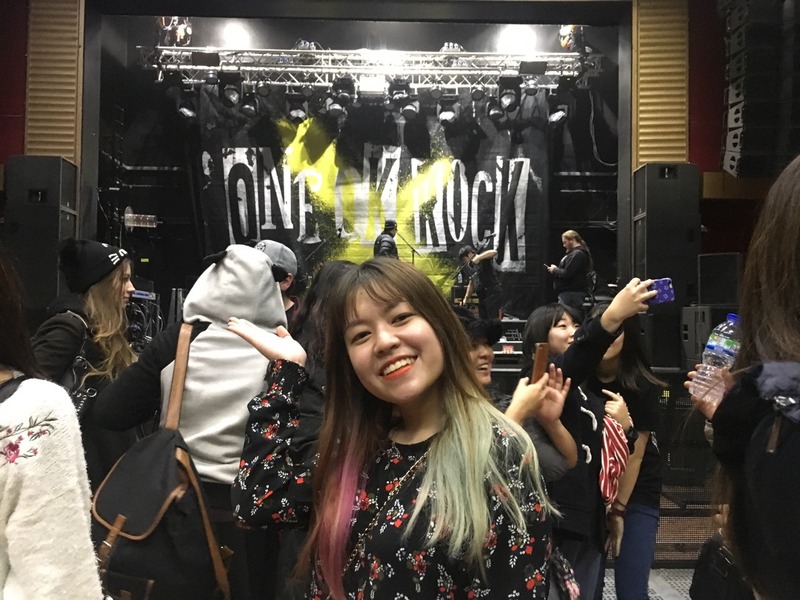 Confession: I only started listening to One Ok Rock a month prior, but when I found out Joe would be coming here all the way from Newcastle just to watch them live, I thought I might as well join her after managing to find some spare tickets on Twitter. On Tuesday morning, Joe left for the SU as early as 8 in the morning to start queuing, but no one else came to form a proper queue until after lunch, and we joined the queue as numbers 5 and 6. Of all the Mancunian days to be outside in the freezing cold for a long period of time, it had to be the day that the temperature was well under 0 degree Celsius for the whole day. Honestly, Joe for MVP of the day for braving through almost six hours of the cold with the help of multiple Costa hot beverages and layers of winter clothes for our spot in the queue. 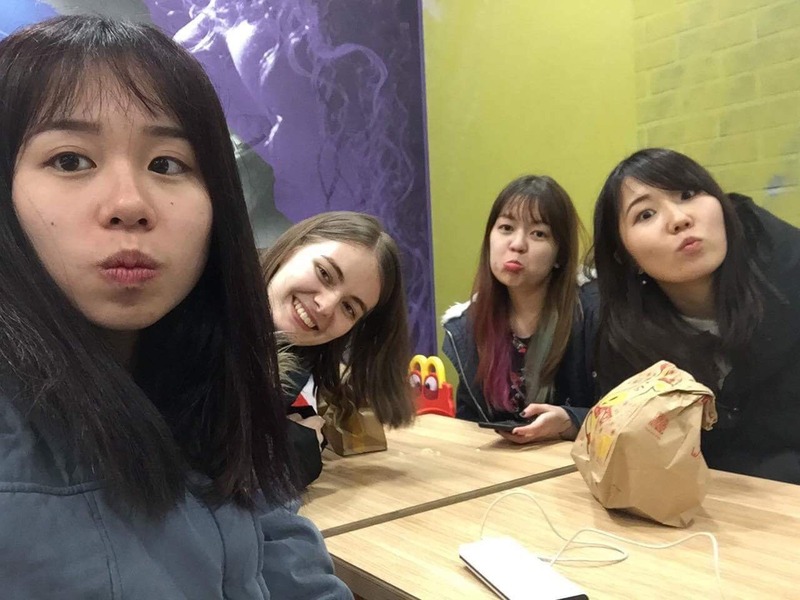 I had a lecture until 5PM so I rejoined the queue after that, taking turns with Joe to go home and change and grab a bite. 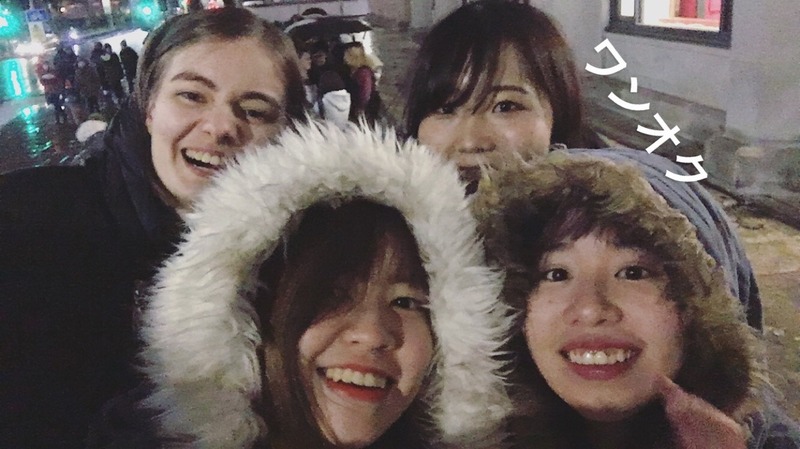 Iasmina and Aya joined us shortly after that, and at 7PM sharp, we were released from the clutches of the savage cold and into the excitement that was watching One Ok Rock live with our own eyes!!! 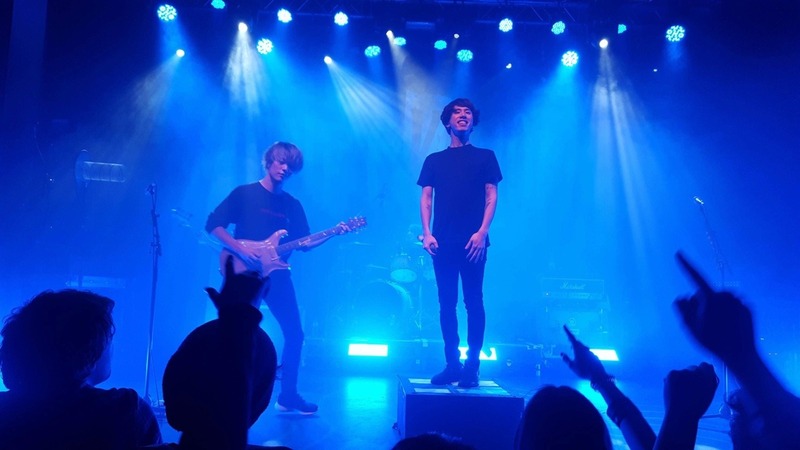 I’ve been to lots of concerts and gigs, especially in the UK, so I think my statement is pretty legitimate when I say that OOR’s stage presence is the best I’ve ever seen. Right from the moment they appeared on stage, the energy never subsided (okay, except for ballads but even then, the hypnotic grip their performances had on us never faltered for one bit) and every single song was a solid ten out of ten. 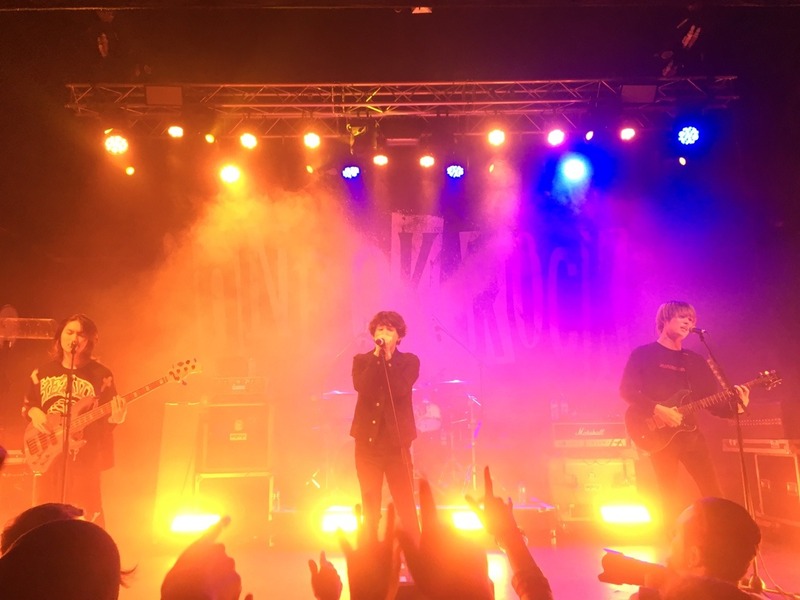 Vocals, guitar, bass, drums; it really was a performance which you can feel the members putting their 100% and more in, and so naturally, you can’t help but give in 100% too. 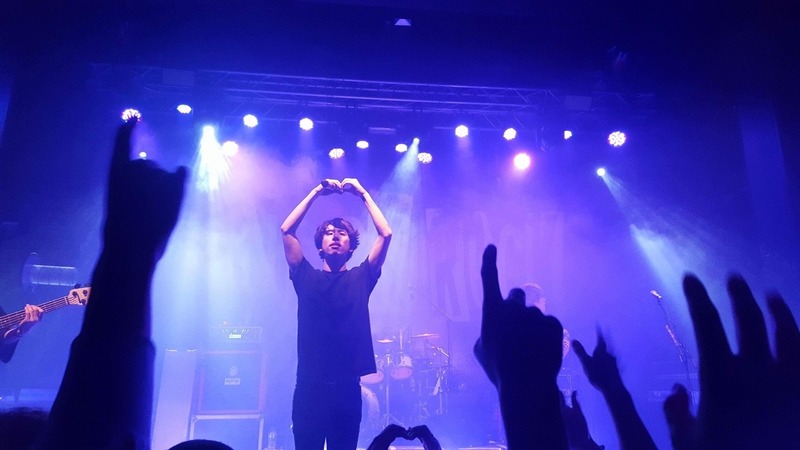 Also, special shoutout to Taka’s voice for being so ridiculously out of this mortal world. His live rendition of Take What You Want gave me literal goosebumps and at one point, I felt like his vocal performance was too sacred a moment to not be indulged in fully in that present moment that I stopped recording (which is saying quite a lot considering the endless dots of my Instagram stories) and just. Listened. And drank in that instant of being there, in the presence of good music, connected to the band on stage and also to everyone around me belting out lyrics that mean so much to everyone in the room. 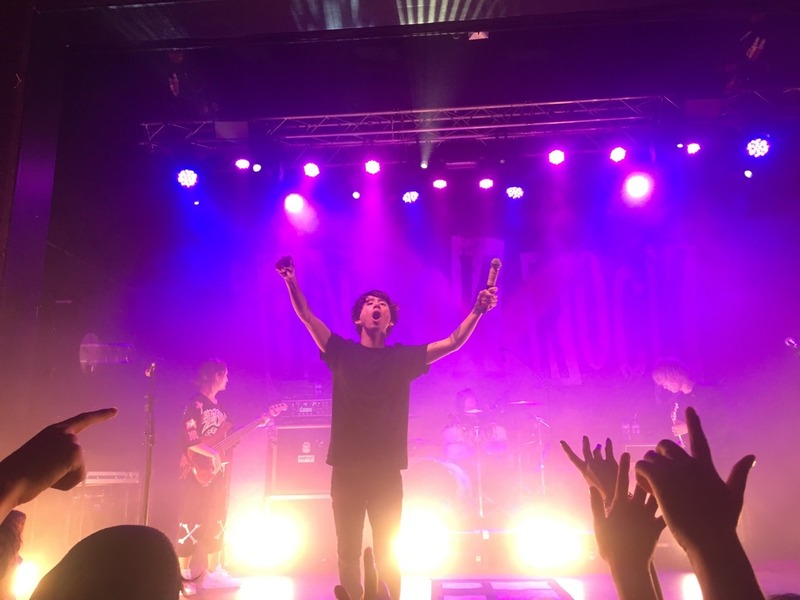 I was told that OOR sold out stadiums in Japan and other Asian countries within seconds, so to be able to attend a rather intimate gig of theirs in the front rows of the 900-people capacity hall of Manchester Academy 2 all the way here in the UK sure made me feel like God was being generous in gifting me with luck that night. The night ended way too soon and we were reluctant, so after the gig, we waited next to their tour bus in hopes of managing to catch a glimpse of them one last time before they leave Manchester for good. 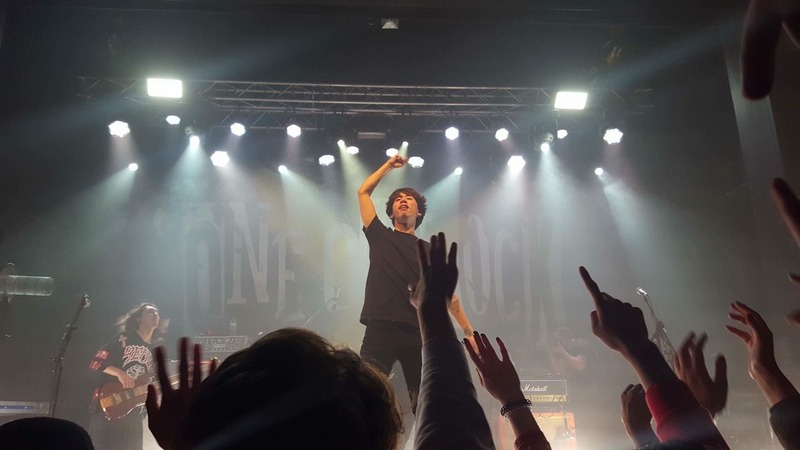 Tomoya somehow managed to pass by us unnoticed, and at some point, Taka appeared, during which I was too shocked and seized up to do anything except say “Hi” nervously when we made eye contact for a split second, and then he was gone. My night ended the way most of my nights this year did: a super late dinner/supper at McDonald’s, and a good couple hours of reliving the concert back in my room with Joe before falling into a deeply satisfactory slumber.